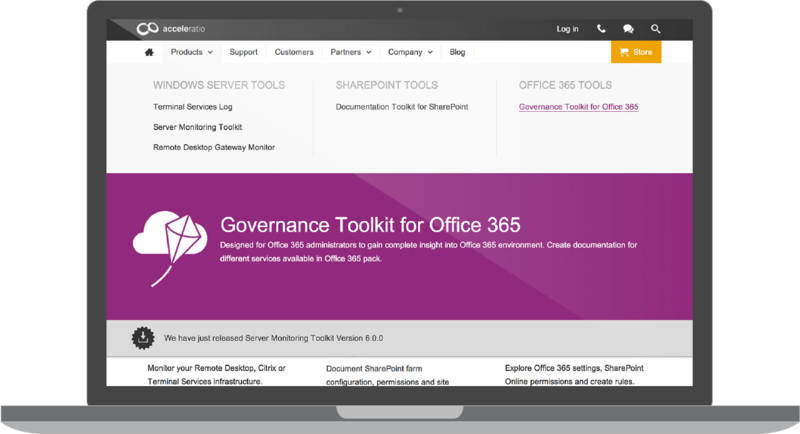 Client: Acceleratio creates solutions for SharePoint, Office 365, Windows Remote Desktop Services, and Citrix. We worked with UX Passion on a complete redesign of our corporate and product-based websites. As they are experts in user-experience design and WordPress, our choice was simple, and I’d gladly recommend them. Additionally, we have implemented a number of measurable actions and set conversion targets, and we are continuing our close work with UX Passion to make sure our goals are met. Acceleratio specialises in developing high-quality enterprise applications and provides consulting services. The company creates innovative software solutions for SharePoint, Office 365, Microsoft Windows Remote Desktop Services, and Citrix administrators and consultants across the globe. The company’s flagship products are used by more than 1000 companies on thousands of servers, across various industries (such as government, corporate, education, financial, legal, sports) in more than 50 countries worldwide. Our challenge was twofold covering the areas of website development (including the backend and frontend infrastructure) as well as the entire user experience (UX) design of brand new corporate and product pages. The existing solution was not aligned with the new brand direction that the company wanted to embrace, and the CMS system had become more and more difficult to maintain. Given the fact that what was required could almost be considered a multi-site implementation, backend and major WordPress CMS changes needed to be implemented. While the administration user interface is hidden from end users, we were tasked with making it easy to use for content creators and future Acceleratio staff. 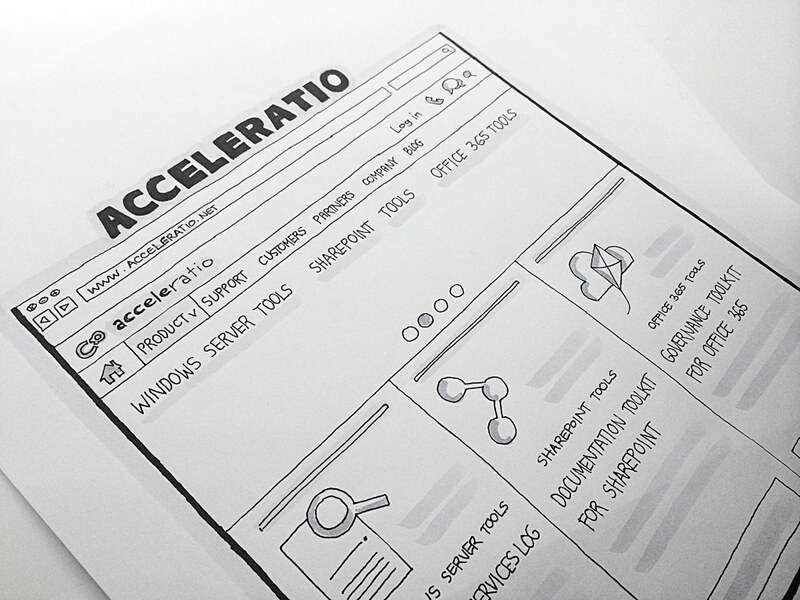 We created an internal UX Passion taskforce dedicated to the Acceleratio project. 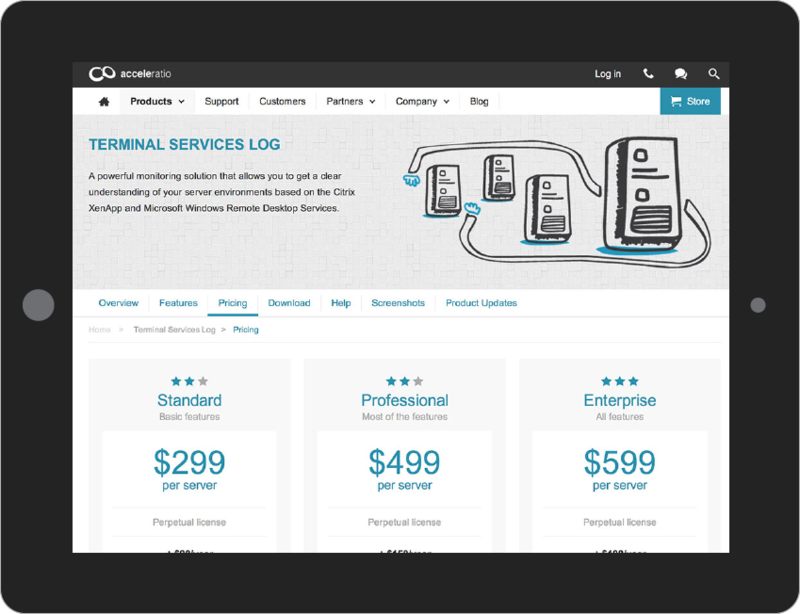 It comprises usability experts, user interface designers, a creative director and developers. The first task was to assess the current situation and make the necessary fixes and preparations to move the old website. We wanted to make sure that search engine optimisation (SEO) rankings were preserved, since they are one of the key customer acquisition channels for the company. From the visual design point of view, we created our own pattern library and visual style guides as well as illustrations to follow and supplement for each section of the website. Since the company is developing a number of different products, we opted for a colour-coded approach giving each product a distinctive and easily recognisable colour and style together with accompanying illustrations. Development-wise we created, from the ground up, a new CMS based on WordPress. A main master page and a number of child product sites were added so that now they can be easily administered and managed. We also introduced git and encouraged the client to continue with A/B testing, and we continue to issue updates when needed. Given the fact that the website is recently launched, it is difficult to provide lots of information on the success of the project, but there are several clear take-outs. The new website is easier to use (as reported by actual users), the backend administration system has significantly cut the maintenance time, and the visual style, which has been completely revamped and adjusted, meets the client’s expectations. We were careful in our migration to make sure that the complete redesign of the entire website did not negatively affect search engine rankings, and we were successful in that area as well. 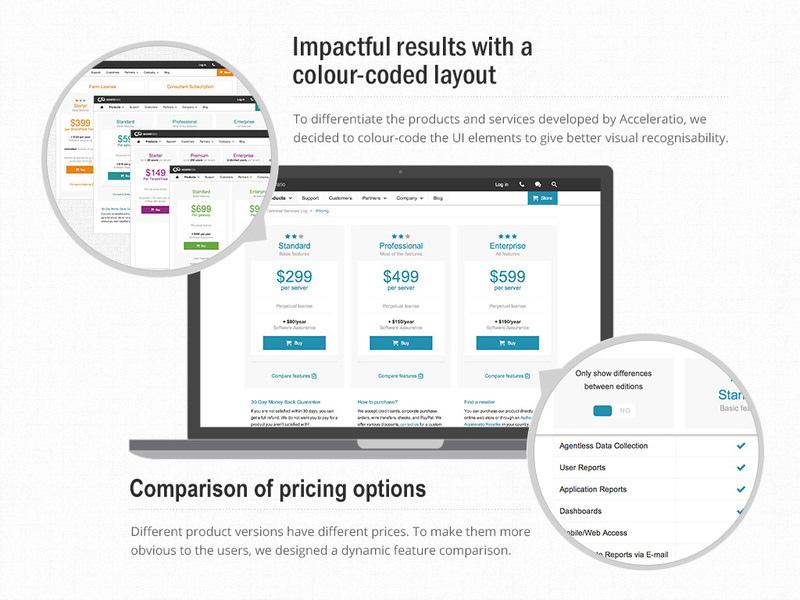 And finally, the client was eager to use A/B testing to validate different design and copy variations. We will be making adjustments as needed to ensure the best possible conversion rates and user experience in general.